The EU said it wants to see Ukraine take “determined action" and make "tangible progress” on human rights issues within two months, including on the situation of imprisoned former Prime Minister Yulia Tymoshenko. After months of delays and hesitation, the EU and Ukraine finally held a bilateral summit in Brussels yesterday (25 February). Speaking alongside Ukrainian President Viktor Yanukovych after the summit, European Council President Herman Van Rompuy reiterated the three areas where the EU wants to see progress before signing an Association Agreement with Kyiv. The three conditions are to address the problem of "selective justice" – a reference to the imprisonment of Tymoshenko and her Interior Minister Yuriy Lutsenko -, dealing with the democratic shortcomings stemming from the October national elections, and advancing judiciary reforms. “I have underlined the European Union's call for determined action and tangible progress in these areas at the latest by May this year,” Van Rompuy said. Kostiantyn Yelisieiev, Ukraine's ambassador to the EU, said recently his country would reject any pre-conditions for the signature of its Association Agreement. The deal is expected to be signed at the Vilnius Eastern Partnership Summit in November, during the Lithuanian presidency of the EU. Both Van Rompuy and European Commission President José Manuel Barroso said that the conditions were not additional requirements for Ukraine, but were contained in the Association Agreement and in the Deep and Comprehensive Free Trade Agreement (DCFTA) which is also ready to be signed. Speaking in Ukrainian, Yanukovych said the outstanding issues could be solved in time for the Vilnius summit. Turning to Yanukovych, who was inaugurated three years ago, Barroso said the anniversary should be “a day for very important decisions”. “I hope to count on your commitment and personal support to achieve our common goal of political association and economic integration between the European Union and Ukraine. This can be achieved. I hope it will be achieved,” Barroso said. Another highlight of the summit was cooperation on energy, with both sides aiming to prevent a repeat of the 2009 gas crisis that left part of the European Union short of supplies during a bitter January. According to the joint summit statement, the EU will continue its support for the modernisation of the Ukrainian gas transportation system and pledged to disburse the first loan installment for an emergency gas transit project called “Reconstruction of Line Facilities of the Urengoy-Pomary-Uzhgorod Natural Gas pipeline, first stage”. 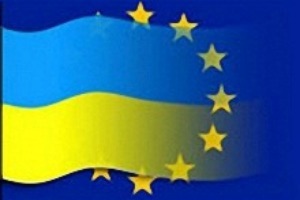 Ukraine has been connected to the EU gas market through bi-directional gas flows since November, the statement said. Poland is already supplying Ukraine with Russian gas from Germany. The gas is reportedly 20% cheaper than Gazprom’s direct supplies to Kyiv. Despite recent statements by the Ukrainian ambassador to the EU who criticised Slovakia for not cooperating in providing reverse gas flows, the Ukrainian Minister of Energy and Coal Eduard Stavytskyi said that in the near future his country could secure annual 30 billion cubic meters (bcm/y) of gas from the west – through Poland and Slovakia. He said it would cover Ukraine's annual domestic demand for gas. The amount is considerable, comparing it with the output of planned pipelines such as South Steam (38 bcm/y) or the Trans-Adriatic Pipeline TAP and Nabucco West, each from 10 to 20 bcm/y depending on the availability of gas from Azerbaijan. The plans of Ukraine to develop shale gas in cooperation with Royal Dutch Shell have reportedly also been discussed. Officially Ukraine aims at achieving full independence from Russian gas supplies and has already converted part of its industry to coal. While the EU-Ukraine summit was ongoing, thousands took to the streets in Ukraine, protesting against the authoritarian trends of Yanukovych’s government. In the European Parliament, the Socialists and Democrats welcomed the outcome of the EU-Ukraine summit. The Party of Regions of President Viktor Yanukovych is seeking affiliation with the centre-left PES group. "Both sides should use the present momentum to ensure that the Association Agreement and the Deep and Comprehensive Free Trade Agreement – documents of historical significance that would set Ukraine on an irreversible path towards European integration – are signed at the next Eastern Partnership summit in Vilnius in November. "It is an opportunity that neither Ukraine nor the EU can afford to miss." "Ukraine's political leadership under president Yanukovych is consciously frittering away the chances for an association agreement. "Instead of finally strengthening the rule of law, the situation is deteriorating. The new charges against Yulia Tymoshenko are a further indictment of the situation, as are the threats to arrest her lawyer. The pressure on the remaining independent media is growing at a disturbing rate. Under these conditions, the EU clearly cannot conclude an association agreement with Ukraine." "The Ukrainian political leadership must first demonstrate the will to implement the necessary reforms, if it is to prove it actually agrees to and will abide with the content of an association agreement. These minimal requirements, such as on the rule of law and freedom of expression, must remain fundamental preconditions for closer relations with the EU. "The EU must help the Ukraine to become less dependent on Russia through energy cooperation and support for the modernisation of the infrastructure. The EU should also conclude a basic visa regime to enable more freedom and exchange between the Ukraine and the EU." "I would like to express my satisfaction with the long-awaited 16th EU-Ukraine Summit, during which both sides confirmed their commitment to sign the Association Agreement - as soon as the determined action and tangible progress in three areas emphasised at the 2011 EU-Ukraine Summit and again set out in the conclusions of the EU Foreign Affairs Council on 10 December 2012, are demonstrated by Ukraine." The December 2011 EU-Ukraine Summit failed to initial the country's Association Agreement with the Union, largely due to the imprisonment of former Prime Minister Yulia Tymoshenko that Brussels sees as politically motivated. The five-year negotiations over the Association Agreement were concluded, but EU leaders made it clear that the deal would not be signed until improvements are made to the "quality of democracy and rule of law" in Ukraine. The entering into force of the 906-pages paper has a geopolitical dimension, because Russia is taking advantage of the EU-Ukraine stalemate to advance its own agenda. If indeed the agreement is signed in November 2013, how long before it is ratified and entered into force? Ukraine ought to set some conditions for the EU to meet! First let them do away with the absurd single state veto of anything of substance. Second let them do away with “selective justice” e.g. Julian Assange.